Leonardo DiCaprio has taken a break from lying around in horse carcasses to make a documentary about climate change. The Academy-Award winning actor has set out plans to stop global climate change in the brand new trailer for Before The Flood, which dropped today. The trailer is not aesthetically unlike some of Leo’s best films. 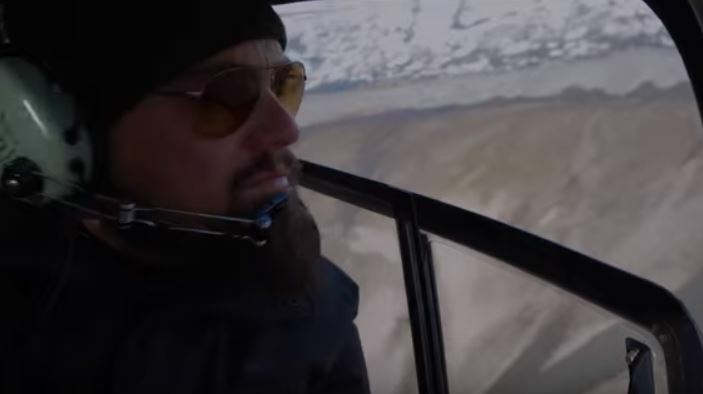 Viewers see DiCaprio traverse the globe to witness the shocking effects of global warming on our planet and discover how to reverse the damage we have done. Although scientific consensus across the board, verified by NASA, states that climate change is very real and very much caused by human activity, there are still sceptics out there. The US has been the biggest emitter of green house gases in history, and Leo is putting his name to good use by speaking to his fellow countrymen and world leaders about this century’s most ignored problem. The documentary, directed by Fisher Stevens, features the likes of President Obama, Elon Musk and Pope Francis. In other words, 2016’s answer to The A-Team. DiCaprio has produced and narrated the whole documentary, accompanied by none other than Martin Scorsese acting as executive producer. It is set for release on 21 October. Meanwhile, the world will watch as Leonardo DiCaprio comes to our rescue – but for real, this time.